Normally, I don’t make big announcements about what is coming up in my harp world. But for my second CD project, I’ve been talking about it quite a bit. One, sharing helps keep me motivated and, two, I’m just excited about the project! My second CD will be called “Beneath the Starry Moonlight” and will feature love songs with a star and/or moon theme. And maybe a few oddballs. Somehow brought together by the harp. If you have roamed my website or seen my social media feeds you will know I’m crazy into making books. 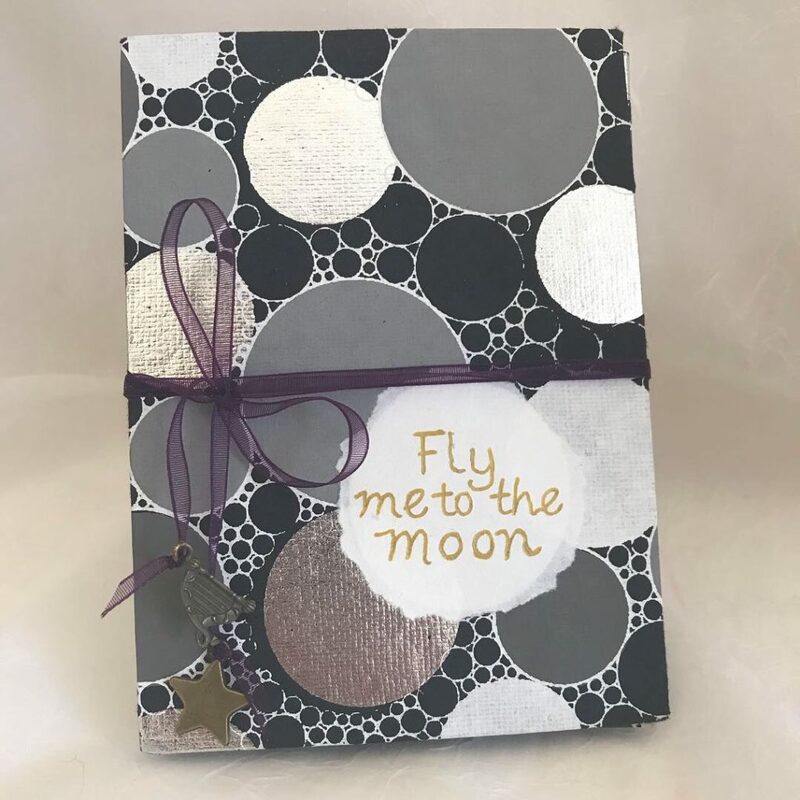 I’m involved in a book making community that has a friendly monthly challenge and the theme for March was Flight. 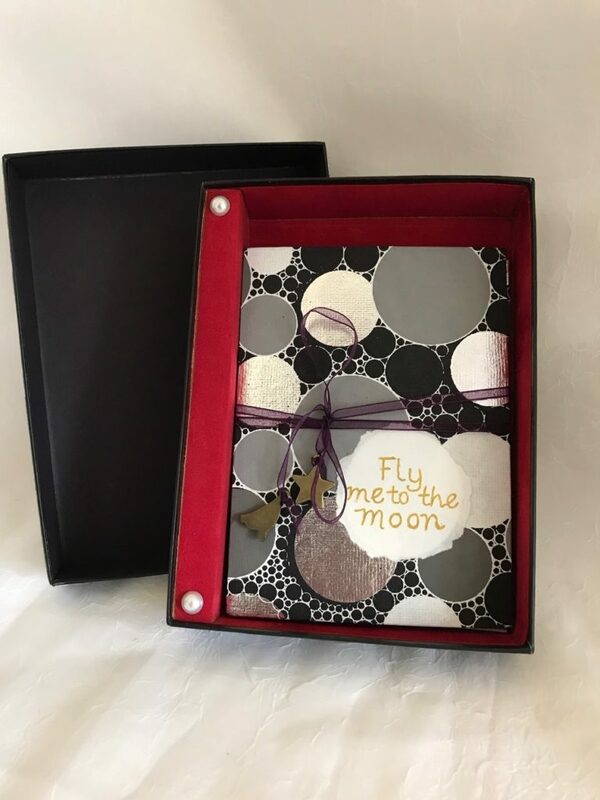 Of course, one of the songs on the list for my new CD is “Fly me to the Moon.” So I decided to make a little book to honor the project. 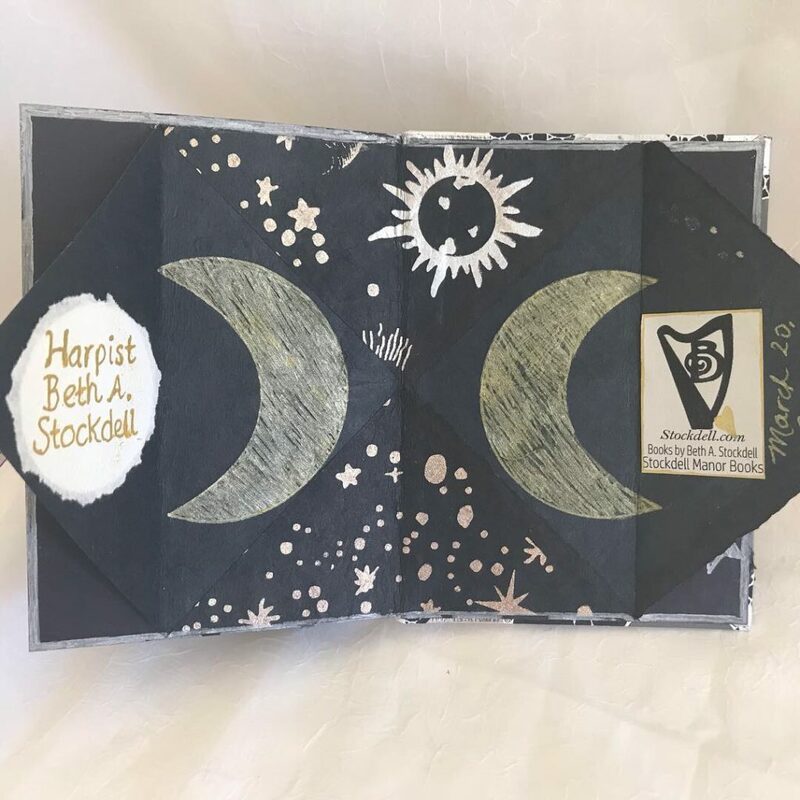 And once I finished the book a friend wanted to buy it as a wedding present for a relative that is getting married on the full moon this month! Since this was going out as a present, I made a custom box for the book. 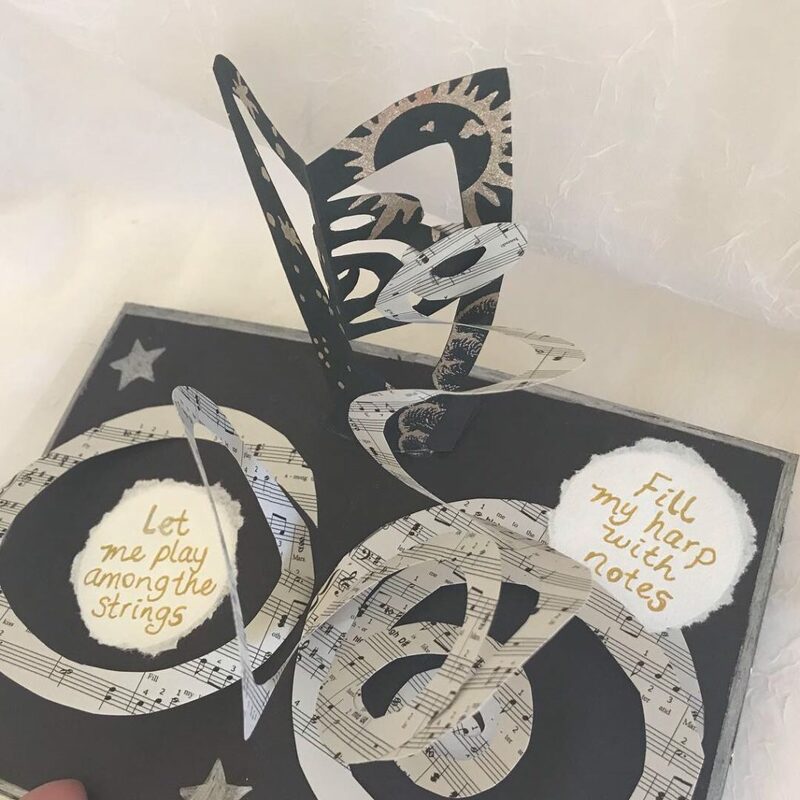 There is also a video below so you can see the pop-up elements of the book. "I just wanted to let you know how much you added to the wedding day!! Contacting you was one of the best decisions made—you were so wonderful!!! I felt so peaceful when I heard your music. Thank you for being that perfect touch to add to our memorable day! You can be sure that if anyone is ever looking for a harpist, I will quickly recommend you!" "Thank you for performing at our wedding ceremony. Your thoughtful help in guiding us on music selection and of course your wonderful performance are much appreciated. Thanks again for being part of our day." "Beth made our ceremony so special. She was great to work with and her music was beautiful." "Thank you so much for playing for the special event with our community. Our residents truly enjoy your music!" Praise for "A Priceless Meadow."